Middlesbrough winger Stewart Downing has been told he is free to leave the club by manager Garry Monk, reports BBC Tees. 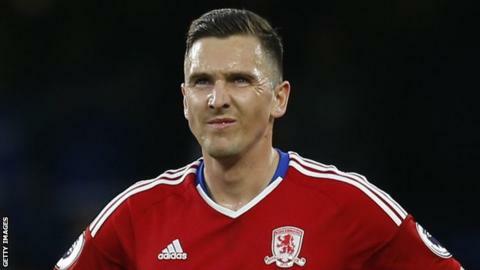 It is understood Monk, who was appointed manager on 9 June, has informed Downing he is not in his plans for the coming Championship season. Downing, 32, has made 249 appearances for the club over two spells and scored two goals in 34 appearances in 2016-17. The ex-England international re-joined Boro from West Ham in 2015 for £7m. EFL fixtures released: Who are your club playing next season? Downing still has two years left to run on the four-year contract he signed when he returned to his boyhood club two years ago. Middlesbrough are targeting an immediate return to the Premier League following their relegation under Aitor Karanka and Steve Agnew last season. Former Swansea and Leeds boss Monk is yet to complete any new signings this summer, but goalkeepers Victor Valdes and Brad Guzan left the club in May.